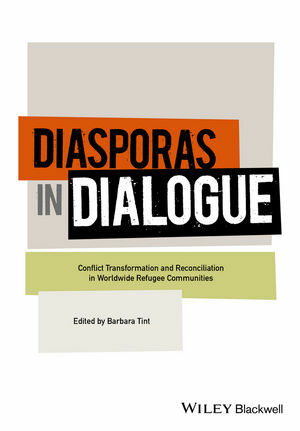 Diasporas in Dialogue is an indispensable guide for those leading or participating in dialogue processes, especially in ethnically diverse communities. The text offers both a theoretical and practical framework for dialogue, providing insight into the needs, assets and challenges of working in this capacity. Barbara Tint is Professor of Conflict Resolution at Portland State University and an international trainer, consultant, and facilitator. She travels globally training groups in issues of dialogue, status and power, intercultural relations, leadership, gender dynamics, and resilience. She has published widely in multiple books and journals on these topics. She has facilitated dialogue processes with Jewish Israelis and Palestinians, mixed race groups in the US, Tamil and Sinhalese community members in Sri Lanka, white and Aboriginal Australians, mixed gender groups and with refugee communities from Africa.